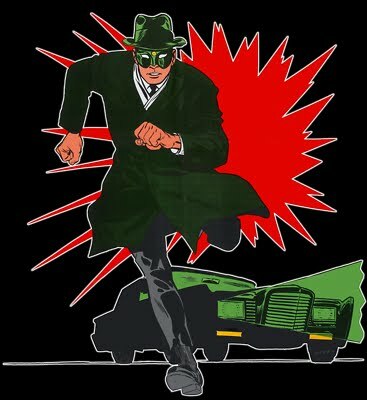 Hero Histories: Video Fridays: GREEN HORNET in "Hornet Save Thyself"
Video Fridays: GREEN HORNET in "Hornet Save Thyself"
A joyous surprise birthday party for Britt Reid turns tragic when the publisher guns down an ex-employee in front of two dozen witnesses...or does he? Reid was holding the gun when it went off, but did he fire it? And if he didn't...who did? How did they do it? And why? Even old friend Frank Scanlon, who was at the party, is skeptical...and he's the District Attorney! Reid knows he's innocent...and he needs his masked alter ego to help him prove it! 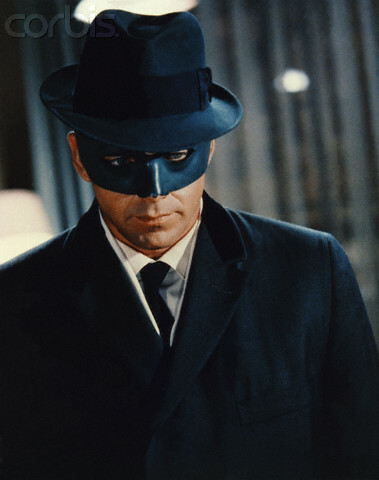 Despite the fact he knows Britt Reid is The Green Hornet, Scanlon doesn't use that knowledge to capture the fugitive publisher. When Reid ducks out the disguised fireplace entrance Scanlon usually uses, the DA doesn't reveal it's existence to the police. Nor does he show them where the Black Beauty is, fully knowing Britt will use it shortly. It's only the third time we see an unmasked Reid in a fight. The same huge soundstage interior used for two different warehouses in "Bad Bet on a 459-Silent" is used here as a dry-cleaning plant Reid hides in. Van Williams does the same "almost-fall" from scaffolding in this episode he did in that one! There's no "Produced by" credit on the episode! The two remaining episodes ("Invasion from Outer Space" Parts 1 and 2) are produced by a new producer. Here's the 24th filmed and aired episode..."Hornet Save Thyself".